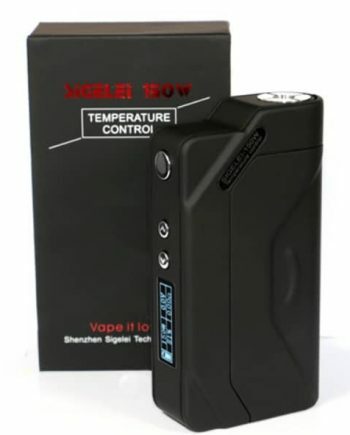 100% Authentic GeekVape Aegis Legend 200w Mod. 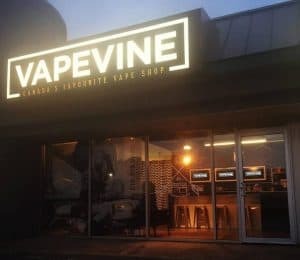 Finally a mod built to take a beating! Dual 18650 Battery Design. 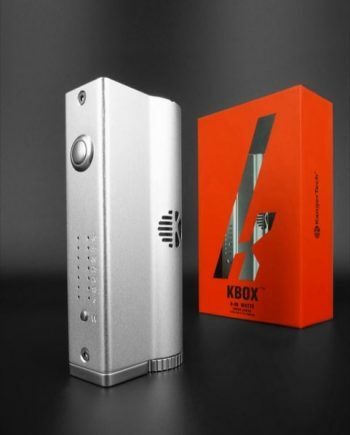 Geekvape has heard the pleas of the hardworking person, and has answered with a mod now capable up to 200 watts that supports dual 18650’s. Most importantly, the Aegis Legend features IP67 water and dust resistance, and Military Grade shock proof! The Original Aegis 100W mod has become known to be the most durable mod on the market, and the New Aegis Legend is no different! 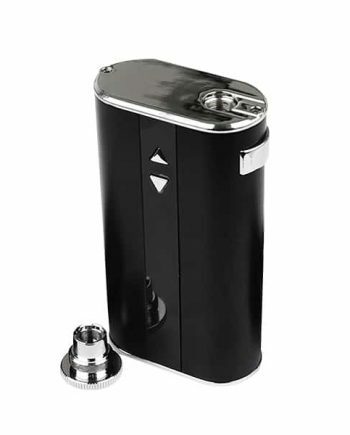 It offers your standard temperature control options with Ni200, Titanium, and Stainless steel. 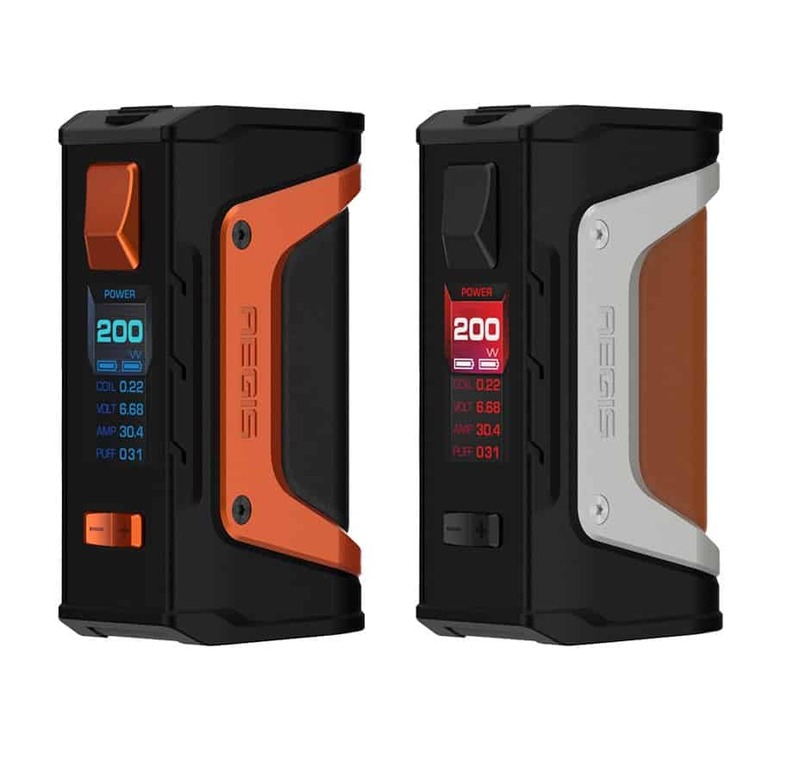 The Aegis Legend Box Mod fires as low as 0.05 ohms, which is the lowest resistance capability, currently available on the market. 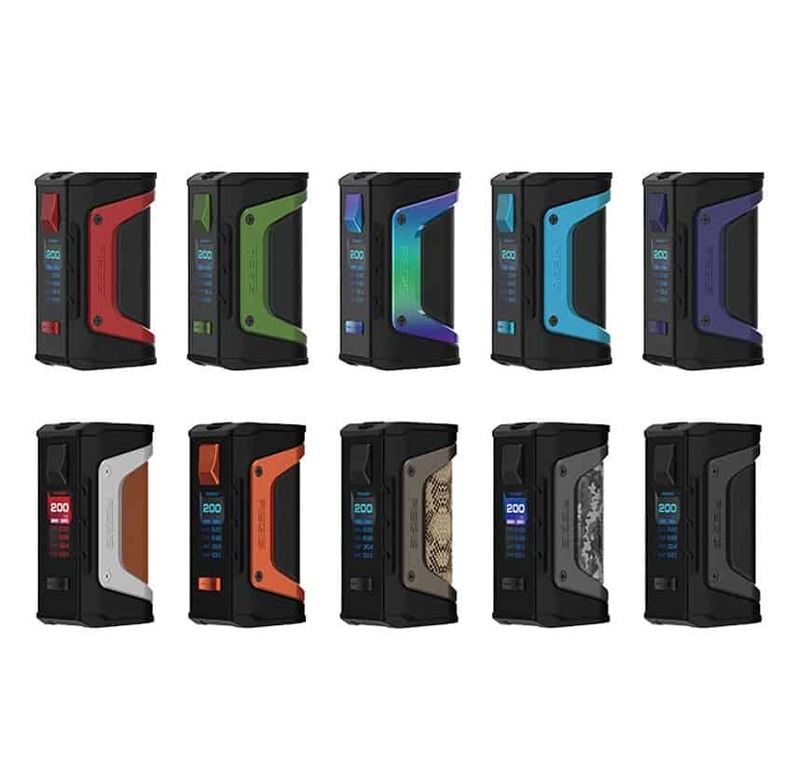 The Aegis Legend follows suit with it’s predecessor, featuring a 0.91″ color screen! 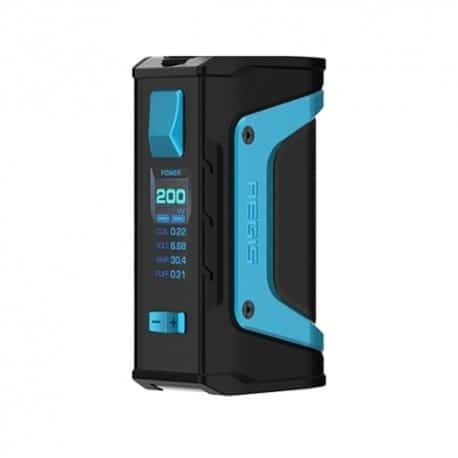 Overall, this is a great mod for anyone who craves a Box Mod built to withstand their hardworking lifestyle, assuring the Aegis Legend continues to work as hard as you do! Requires 2X 18650(Batteries Sold Separately). NOTE: Always use same brand of batteries in one mod, and marry those batteries. 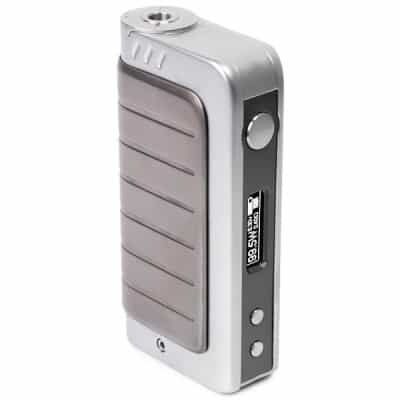 An external battery charger is highly recommended for advanced mods with dual batteries as a dedicated charger helps with balance charging, as well as overcharge protection, which prolong the life of the cells and mod. Comes in: Stealth Black, Silver/Brown, Orange/Black, Gunmetal/Digi Camo, Gunmetal/Snakeskin, Black/Rainbow Trim, Black/Navy Blue Trim, Black/Azure Blue, Black/Red Trim and Black/Green Trim.